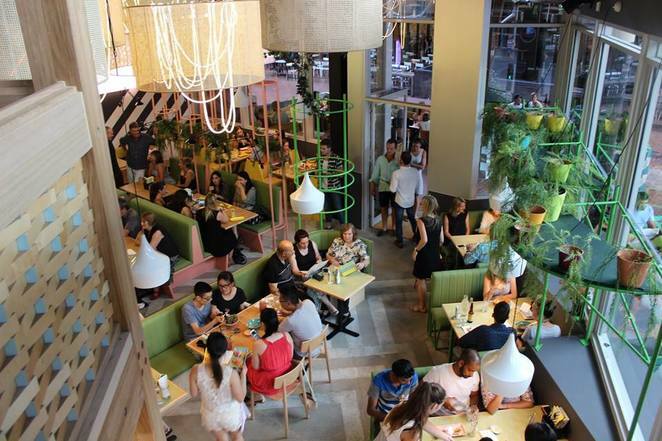 Sprinkled through Melbourne like coriander on guacamole, Fonda currently offers Melbourne seven Instagram worthy hubs of Mexican lunch and dinner eats. In Mexico, a 'Fonda' is a home that is opened up as a restaurant to the local community. Inspired by these locations of Mexican community and lifestyle, the restaurant offers fresh, colourful and modern Mexican food. 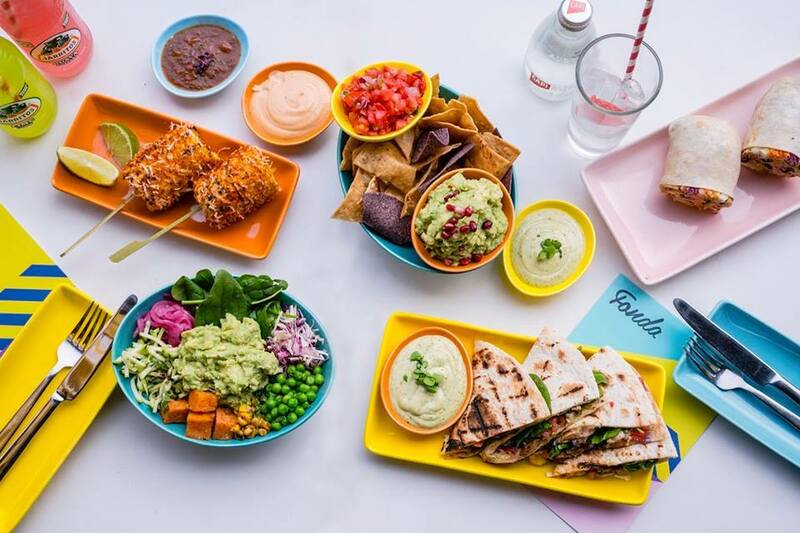 The menu bounces off the décor as the colour palette switches from a sweet pink, the colour of their watermelon & strawberry Aguas Frescas, to a flame orange, reflected in the sweet potato quesadillas. With a fairly straightforward offering based around tacos, burritos and an extensive range of salsas, Fonda does Mexican food simply and well. All items are bursting with flavour, are priced reasonably well and served ready to be eaten straight away; no construction required. I recommend the tortilla crisps and falafel burrito. The team behind Fonda also have a social conscience, regularly creating awareness to campaigns such as RUOK day and fundraising for recent earthquakes in Mexico. Each location has different opening and closing times depending on the days but all restaurants are open seven days a week, mostly opening at 11am and closing 9 on weeknights and some closing at 10.30pm on weekends. Check out their website for more information on locations and opening times. All locations take group bookings.